It has been ages since I last updated my blog, so much so that I decided to delete all the old posts and make a fresh start. I will be posting new artworks , as well as old ones which I think still stand the test of time, as well as some eclectic entries featuring things of interest and other random bits and bobs that I find amusing or interesting and wish to share with others. 2010 saw me returning back to live in the UK after being away for 10 years, not much has changed here, but my portfolio of work has moved on quite a bit, including game art assets (models and texturing) plus digital illustration for merchandising, games and publishing. 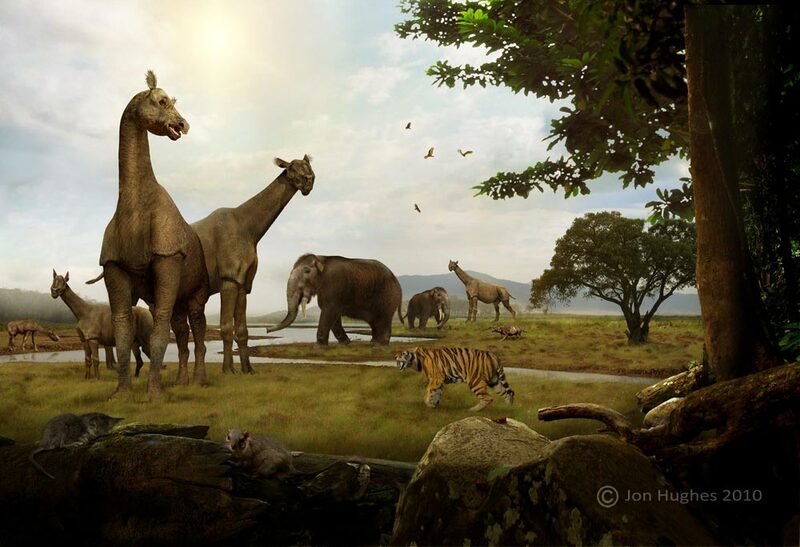 Deinotherium, Indricotherium, Machiroidus, Hyaenodon, Scandentia, Soricidae and a flock of Vultures.